The Musician's Playlist is a feature where we ask one of our foremost jazz musicians to pick their all time Top Ten favourite albums, and tell why they have selected these particular recordings. Click in the images below to read the latest Playlist. Taking his experience gathered over a long career, Crosland brings a wide variety of musical influences to the table and uses them to play jazz on the bass guitar that is deeply swinging in the finest jazz tradition yet also contains elements of the pop and rock music that were an important part of his formative years. Trumpeter Steve Fishwick and saxophonist Alex Garnett need no introduction, having been at the forefront of jazz in the UK for decades. They are set to tour their new release,Marshian Time Slip, in March with New York bassist Mike Karn and Matt Fishwick on drums. The album is the result of a 15 year association between Alex Garnett and the Fishwick brothers, Steve and Matt. Drummer, Clark Tracey is now into his fourth decade a leader of some of the finest straight ahead small groups in the UK, using these groups to introduce new young talent to a wider audinece. This is no better in evidence than in Clark's latest release, No Doubt, on his own TenToTen Records imprint. With what is sure to be one of the most beautiful albums of the year, pianist Frank Harrison & Brigitte Beraha release their stunning duet album The Way Home. The art of the duo can be a precarious affair, and a setting that is often favoured by improvising musicians with its intimate sound world and room for conversational improvisation. The duos that work best are frequented by musicians that are fearless, relishing in the exposed setting that they find themselves, and who are also unhindered by stylistic boundaries. Israeli born-UK based saxophonist, Gilad Atzmon has been stirring up audiences with his unique brand of bebop/hard bop/klezmer style jazz with his Orient House Ensemble. A passionate man, Atzmon's passion spills over into his music making, thus making every gig an event. Grammy winning pianist and composer, Alan Broadbent has been a most welcome visitor to these shores over the last couple of years, and this year has seen to the release of two wonderful recordings. The first with UK based singer and lyricist, Georgia Mancio on their collaboration, Songbook and in June Alan released Developing Story recorded at the famous Abbey Road studio with the London Metropolitan Orhestra and his trio featuring Harvie S on bass and drummer, Peter Erskine. Norwich born, but now resident in London, trumpeter Freddie Gavita has been building quite a reputation for himself, as a great new talent to watch. In truth he has been on the last the scene for a decade or so but has now chosen to release his debut album as leader, Transient on Froggy Records. Pennsylvania born, London based trumpeter, Andre Canniere is now an established name on the UK scene. With the release a new album, The Darkening Blue, his third for Whirlwind Recordings, Canniere takes a step away from his work on his previous recordings delving into the poetry of Bohemian-Austrian poet Rainer Maria Rilke and American author Charles Bukowski. Fraulian pianist Glauco Venier is perhaps best known for his ECM recordings with the collaborative trio with German saxophonist/clarinettist Klaus Gesing and Norma Winstone, with the group having recorded three acclaimed albums for the imprint; Distances, Stories Yet To Tell and Dance Without Answer. Venier's initial musical experiences came from playing organ in his local village church. His first forays into jazz were self-taught and in 1991 he won a scholarship to study at Berklee College of music in Boston.Since then he has played and toured with Enrico Rava, Lee Konitz, Kenny Wheeler, Maria Pia De Vito, Joey Baron and Paolo Fresu amongst others. Claire Martin and Ray Gelato have been friends and collaborators for more than 30 years. Their new album ‘We’ve Got A World That Swings’ (Linn Records) will be launched at Ronnie Scotts Jazz Club later this month. A graduate from Trinity College of Music in 2005, Matt Ridley has gone on to forge a reputation as one of the most creative and versatile bassists on the UK scene. He has a long term collaboration with with Darius Brubeck and has also played in the quartet and big band of Michael Garick. Since coming to prominence with the iconic big band Loose Tubes, saxophonist/composer & educator, Julian Argüelles has performed in a wide variety of contexts on the international stage, and has worked with such luminaries as Kenny Wheeler, John Taylor, Dave Holland, Django Bates and Hermeto Pascoal. For more Musician's Playlists click here, or scroll down to read previous Playlists from Jeff Williams, Kit Downes and John Turville. Veteran drummer, Jeff Williams, has a career that spans four decades, and has worked with jazz luminaries such as Stan Getz, Dizzy Gillespie, Cedar Walton, and Art Farmer. He was also a major collaborator in Dave Liebman's Lookout Farm in the seventies, for which he is perhaps best known. 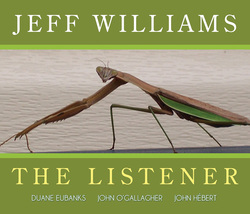 With the launch of his new album, The Listener, on Whirlwind Recordings, we ask Jeff to pick his all time top ten albums, and why they are special to him. Unusually, Jeff has selected multiple recordings from the same artist, which perhaps suggest that the drummer has gone for his formative influences as well as his favourite recordings. Reissued under various guises and sometimes referred to as the white album, this was a live double LP from '58 at the Spotlight in Washington DC. with Israel Crosby and Vernell Fourier that my parents purchased when it was released. I'd already been swept up by Mr. Jamal's spell and was playing along (on a cardboard box with brushes) with At the Pershing and Count 'Em 88. I did this everyday after school. The live atmosphere transported me and I could imagine myself actually playing in the club with my hero. It was how I learned standards, though in Jamal's terms--departing from the form and vamping for a while. I thought that's how everyone played these tunes but I haven't heard many do it. I was eight. Also in heavy rotation at my house during this time, the Workin' LP was another favourite to play along with. ‘Trane's Blues’ (known by other titles elsewhere) is perfect and cemented my love of Coltrane then and there. Four with its drum intro was thrilling. There are two versions of the famous ‘Theme’, one with Philly Joe doing a one-handed triplet break on the snare killed me. Between Philly Joe's brilliant drumming architecture and sound and Fournier's swinging minimalism I had my first two favourite drummers. On everyone's list but I would also include Jazz Track from this period and its versions of ‘On Green Dolphin Street’ and ‘Stella By Starlight’. My mother liked to play these on Sundays. For her it was like going to church. So much beauty. What Miles learned from Ahmad is put to use, as had also been the case with the late Prestige LPs where Jamal's arrangements are often used verbatim. ‘Green Dolphin's’ dates back to a '56 version by Jamal. The harmonic expansion of Bill Evans' contribution provides the next step. I didn't know any of this at the time; for me it was of a piece and all I wanted to hear for a while: Miles and Ahmad. Being in thrall to Jamal naturally directed me toward the piano trio recordings of The Three Sounds, Ramsey Lewis, Andre Previn (w/Shelley Manne), Les McCann and whatever else was laying around. The spare instrumentation of piano, bass and drums allowed for greater scrutiny of what the drummer was doing. My first visit to the Village Vanguard in 1961 was to see Oscar's magnificent group with Ray Brown and Ed Thigpen and I was blown away. They were on another level in almost all respects but particularly in playing fast tempos and swinging like crazy. Ed's brush playing is breathtaking. This recording is one of their best. honouring tradition without being bound by it. I had just seen Woody Shaw and Joe Henderson with Horace Silver at the Half Note, a life-changing moment, so I didn't hesitate to pick this one up, even though I was unfamiliar with Larry Young. I had also seen Elvin Jones play with Duke Ellington and failed to register his genius at the time ('63? ), it being a context that made his playing seemed truly avant garde. Unity signified for me a further advancement of the form with musicians in perfect accord. The duet with Larry and Elvin on Monk's Dream remains an all time favourite. Bobby have a beautiful blend. Quite a bit of ground is covered, inside and out, and that influenced by thinking; one needn't be confined to one or the other. up with another way to play--more open and flowing. There is a freedom in how the time is stated and stretched that appealed to me. I love all of the Miles studio recordings from this period ('65-'68) but this one absolutely floored me when it came out. The way it's recorded is a big part of it, the fact that Herbie lays out or confines himself to right hand lines; it seemed a departure from what had come before. Maybe it has an Ornette influence. The amount of content and interaction from Tony is incredible. He advanced drumming considerably on this one. Read out review in our May 2013 CD Reviews. Over the last few years, pianist Kit Downes, has become a one of the leading young musicians on the UK scene. He can be heard working with contemporaries in The Golden Age of Steam, Troyka, Seb Rochford and also in Stan Sulzmann’s ‘Neon’, as well as with his own Trio and Quintet. In anticipation of his new quintet album, Light From Old Stars, soon to be released on Basho Records, JAZZ VIEWS invited Kit to contribute his Musician’s Playlist, and giving an insight into his favourite albums. I love Skip's voice - as one of the early delta high singers (like Blind Willie McTell - another favourite of mine) he creates this atmosphere which really sums up the blues for me - melancholic, sad and defiant at the same time. His guitar playing is great as well, not conventionally speaking - but unique and personal. Such a great record - John Lowrie (from the Lounge Lizards, and films such as Down by Law - Jim Jarmusch) sings along with friends Martin, Medeski and Wood, plus playing from Tony Scherr and Kenny Wolleson (both from Bill Frisells band) and the great Marc Ribot. Theres a bizarre slightly theatrical world created around and within this record, you’re not sure what's real or not! 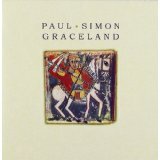 I came to this record later than most, but simply just such amazing lyric writing combined with a unique sounding band that transcend genre and all sorts of other divides - a powerful artistic vision! I'm torn whether to put this album or Where in the World which I also love almost as much. Good Dog is a less dark record, but what I love about this is that it’s definitely a grower - understated but with so much detail, each listen reveals new things - and it has great melodies and is incredibly produced (like all Frisell albums). Some of the most complicated music negotiated with the greatest amount of freedom Ive ever heard! Django is (for me) one of the most important musicians in the world now and for the last 20 years. He creates a world that is uniquely his own, but so incredible widely and well-referenced. There is so much in this music, feeling and detail - but the overriding thing of it all is the amount of JOY in the music - a hard thing to do when playing complex music! Brainy and feely - like Django - but in a different context. Amazing compositions - rich in detail and never what you expect. There is a lot of skill and inner logic within it - lying behind a proper rock and roll attitude. Almost mathy sometimes, but played in such a loose open way that it never feels cold. This is my joint favourite piano trio and definitely my favourite Paul Bley record. A real revolutionary language in piano playing, there is life before Bley and life after. Often a under-appreciated source, Bley has been a huge influence of people like Keith Jarrett, Bobo Stenson, Geri Allen, who have in turn been a huge influence on everyone else! A unique voice and approach to piano, but underneath all the apparent chaos and freedom is a heavy groove and strong melodic sensibility. Very happy music, amazing groove music - Billy Higgins on this/these records combined with Cedar Walton and Ron Carter is such a great rhythm section for Eddie Harris (who is so groovy) and for his tunes. Cryin Blues is a big favourite of mine - to listen to and to play. Dr John's latest album - produced by Dan Auerbach (from the Black Keys - whos album Brothers I really like) is a masterpiece in filthy broken blues. Dr John almost talks his way through some amazing riffs and songs, all produced amazingly - amazing sound. 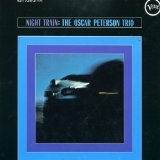 My first ever Jazz album and definitely my most listened to album - Oscars playing is groovy and soulful, and complimented perfectly by his best ever band - Ed Thigpen and Ray Brown. Simply the most swinging music and awesome piano sound. 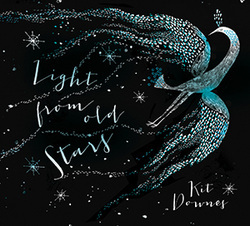 Kit Downes new album, Light From Old Stars, is released on Basho Records on 22nd April 2013. Watch out for our review coming soon. So to kick off this series of Playlists, and the first of 2013, we have put pianist John Turville in the hot seat. Riding high on some significant, and well deserved accolades for his latest trio CD ‘Conception’ it was a fascinating process to find out just what has influenced and motivated the pianist on his musical journey. This is one of those albums that really changes the way you hear things. Diego’s music is so individual and really reflects his versatility. I came across him after a recommendation from my friend and great singer Guillermo Rozenthuler, and he was a huge inspiration in the writing on Conception. He has his own jazz group as well as playing for the Quinteto Urbano and having his own large ensemble (double quartet) which is the instrumentation on this album. There is something about the detail in the writing here, especially on the duo ‘El Zapallo Que Se Hizo Cosmos’ and ‘Las Puertas Del Cielo’ that perfectly unites the worlds of contemporary classical music (particularly Hindemith), contemporary jazz and tango – which is almost a reference point, an emotional intention. He very generously publishes all the scores for free too, so it’s a great way to try to understand what’s going on there harmonically and rhythmically. To me, its music that lives, has such a positive spirit and goes far beyond labels. There’s so much to say about this album (and indeed John Taylor) – you just have to listen to appreciate how world-class he is. There are echoes of Messiaen, Ravel and John Ireland in his writing and improvising but beyond that, there’s this boundless creativity leaping out the music. It’s also incredibly detailed. I’ve transcribed three or four tracks of this solo album, and it’s all extraordinary. So many beautiful moments – but his work inside the piano on Vaguely Asian, the intro to Ambleside or the inner parts and the beautiful legato thirds on Glebe Ascending and the interaction between the hands in the solo is something really special. This was one of the albums I would say inspired me the most over the years – and you can return to it each time and hear new detail. I think to try to understand Diego Schissi, you have to start with Salgan. His work with the guitarist De Lio and with the ‘Quinteto Real’ is really special. Although this is in one sense traditional tango, there’s a rhythmic freedom (in the piano breaks in La Ultima Curda, for example) and a linear approach that has a huge amount of jazz in it. Of course it’s all arranged, but the music really breathes, and there is certainly something of Duke Ellington in the conception. Again, this is music that crosses a lot of boundaries. At first listen, it sounds like a slightly leftfield country group, but the more you listen the more you hear – their technique and the quality of the writing is mindboggling, no matter what genre it is. The suite (The Blind Leaving The Blind) is particularly standout – there is a sort of confidence about the writing that demands close listening – it’s kind of schizophrenic, going from interweaving contrapuntal lines sounding like a Bach fugue to folky themes but with an intense lyrical intention and beauty throughout. Although he’s known as the drummer of Level 42, Gary Husband is, extraordinarily, a full-on classical virtuoso at the piano, and this album (and it’s pair, The Things I See) is just incredible. His touch is something else, and there’s huge range too on the album, from beautiful free harmonic explorations (like Development, Jazz Jungle and especially the perfect Lotus Feet) to complex loopy rhythmic cycles like ‘Dance of Maya’. There’s a lot of overdubbing throughout as well, but if never feels busy to me. The whole album is a tribute to John Mclaughlin (and its pair to Alan Holdsworth) but the music assumes a completely new life and vibrancy. I think it really speaks to me because of our shared classical backgrounds perhaps. This is, again, one of those albums that you need to hear many times to appreciate. For a start, the writing is varied, mature and open – with a great balance between complexity and lyricism that really works. Then you have the band itself – all the space in the writing (on Phaedrus and Hi Steve for example) is filled by these beautiful flourishes from John Taylor or Mick Hutton) and that continues into the solos. JT breaks all the ‘rules’ of comping – almost interrupting Arguelles mid-flow, but it really works. This was also a big inspiration on Conception – you may notice the similarity between Maxine and Arc-En-Ciel (with a common rainbow theme)! Just a perfect album, again – not jazz at all, but I think it has a pace and creativity about it which is really appealing. The dark mood on ‘An Echo, A Stain’, the beautiful violin lines and electronics on ‘Hidden Place’ and the subtle phasing on ‘Undo’ are exquisite. I wouldn’t say this has influenced my own writing, but I’d love to cover one of her tunes someday – maybe on the next album! I covered ‘Fruit Tree’ from Five Leaves Left on my first album. Everything about him appeals, his voice, the lyrics, harmony and the incredible guitar playing of course. Obviously, a lot of jazz artists have covered tunes on the album (Stan Sulzmann and Brad Mehldau for example), and I think that has a lot to do with the emotional intensity and a certain level of complexity in the harmony – for the same reasons I suppose Joni Mitchell is covered a lot too. ‘River Man’, ‘Time Has Told Me’ and ‘Fruit Tree’ are particularly great I think. There are so many great Miles albums, you can’t really pick one. But I love this one especially – the arranging is so fresh and open (especially tracks like ‘Jeru’ or ‘Moon Dreams’) and there are some lovely Konitz and Mulligan solos. Clearly this was a precursor to the more ambitious Gil Evans albums (Porgy And Bess, Sketches of Spain and Miles Ahead) but there’s something about the rawness and imperfection that stays with you after many listens. Again, there are so many great Ellington suites and albums to pick from (this could just as easily be the Far East Suite, Money Jungle or Piano Reflections). The track I always remember from this is ‘Star-Crossed Lovers’, with the arpeggio intro/outro, generous glissandos from Johnny Hodges, beautiful arranging throughout (but never over-arranged) and some haunting voicings with everything in the wrong place. Extraordinary stuff. 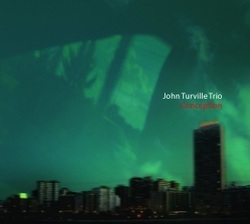 Read a review of Conception by John Turville Trio in our CD Reviews.